"I feel great, I feel healthier, clothes that I bought 3 years ago fit me better now than they did then! I've swam further than I thought I ever would be able, took up running, lifting weights and I'm even starting wrestling in the New Year. 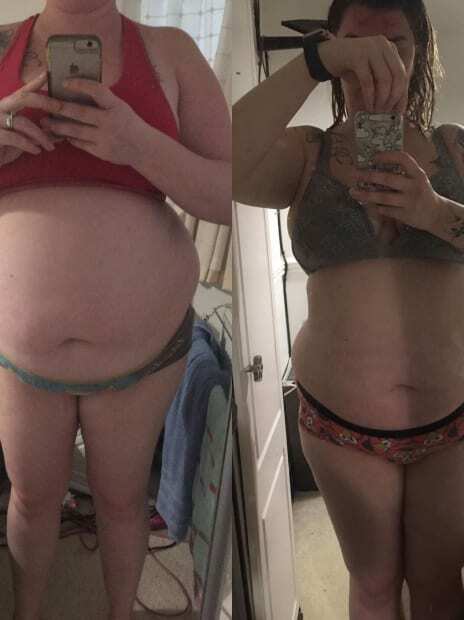 My husband, family and friends have all been really supportive and have noticed a massive change in me, not just physically, but that I'm happier than I was and it's given me a massive confidence boost." ‘I can’t remember ever being happy with my body and sort of persuaded myself that I was fine with the way I looked, I was happy being fat and that was fine because it meant I could eat and drink whatever I wanted. I tried another well known diet plan that just wasn’t for me, I then found Sustain through a Facebook Group. Following basic commandments, picking what food you had, no weighing food, SIMPLE. I’ve now been with Sustain for 6 months and I’ve lost 19KGS in total, 32cm off my waist alone! I feel great, I feel healthier, clothes that I bought 3 years ago fit me better now than they did then! I’ve swam further than I thought I ever would be able, took up running, lifting weights and I’m even starting wrestling in the New Year. My husband, family and friends have all been really supportive and have noticed a massive change in me, not just physically, but that I’m happier than I was and it’s given me a massive confidence boost. The accountability of the coaching is great, along with the coaches knowledge and guidance I believe that anything is possible. I’m so glad I found Sustain as it truly has changed me and the way I eat and exercise.